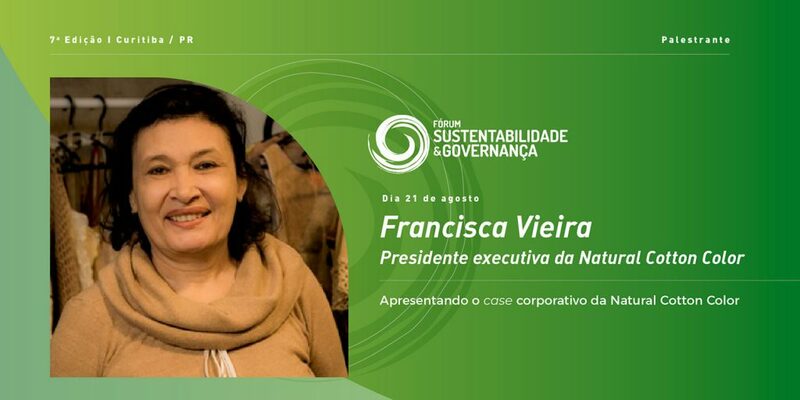 With the theme “strategies that impact business and guide tomorrow”, entrepreneur Francisca Vieira presents Natural Cotton Color – NCC Ecobrands at the 7th edition of the Sustainability and Governance Forum on August 21 and 22 to be held in Curitiba. The CEO of the sustainable fashion brand will be in the panel “Trends in Sustainability and Governance: corporate case” and will show the production chain of organic colored cotton from Paraíba for the participants. Corporate governance is the set of processes, regulations, decisions and ideas that show the way in which that company or society is directed or managed. The Forum integrates the organizations so that they show practices of sustainability in their daily life. The Forum should gather 120 lectures focused on the discussion of trends, perspectives and success cases in the management of sustainability in companies. 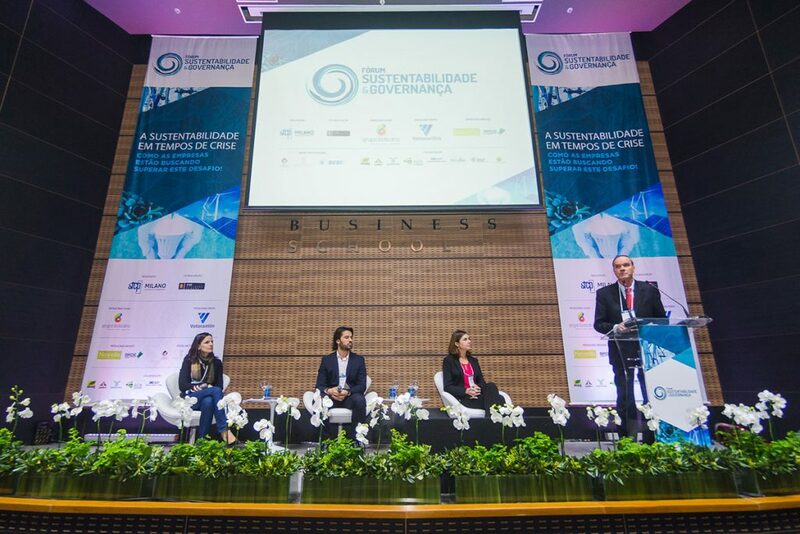 The Forum that integrates private and governmental initiatives to demonstrate how organizations practice sustainability in their daily lives, going out of the environment and entering the productive chain of each business. The Forum integrates private and governmental initiatives to demonstrate how organizations practice sustainability in their daily lives, going out of the environment and entering the productive chain of each business. 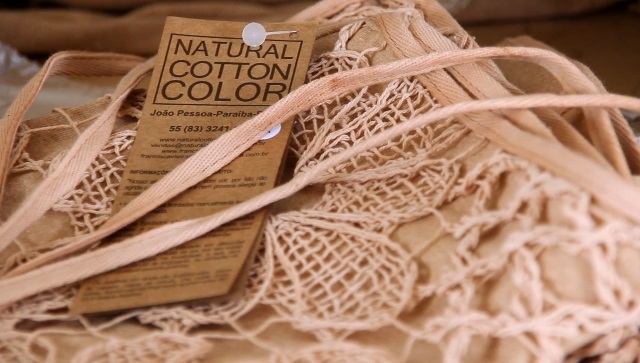 Natural Cotton Color is part of the Arranjo Produtivo Local (APL) – Local Cotton Arrangement – of Paraíba Colored Cotton that brings together the association of farmers and artisans, public and private entities, spinning and weaving, clothing and clothing companies. The CEO of Natural Cotton Color – NCC Ecobrands was invited for her articulation in the cultivation of organic colored cotton in a settlement in Paraíba and also for leading the expansion of this innovative raw material – through the production of clothes where she inserts handicraft technique in the design of the pieces promoting and preserving these traditional knowledge in fashion fairs around the world. In the panel, Francisca should talk about education, culture and values, reinforcing that without this, there will be no consumer of sustainable product. “This is the biggest obstacle in Brazil: conscious consumption,” she points out. The invitation to talk about sustainability in Fashion is an important challenge. 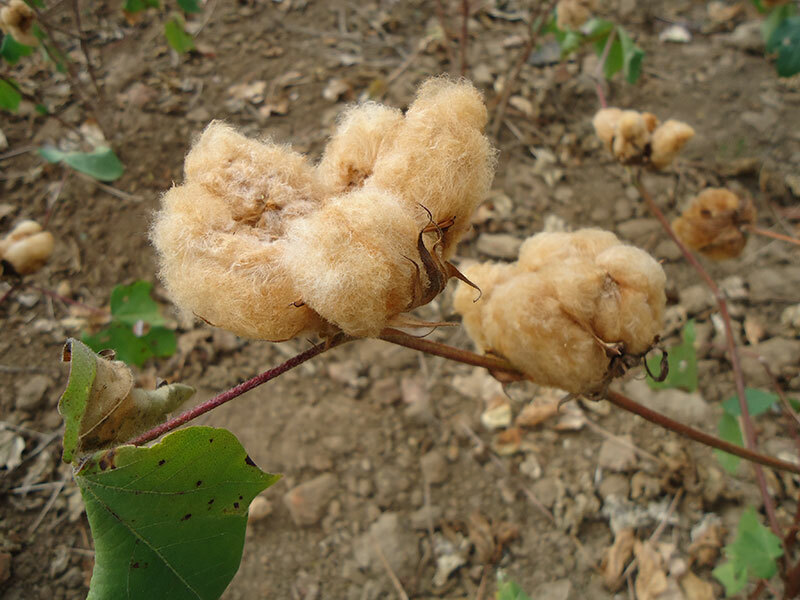 Organic colored cotton was developed by the Brazilian Agricultural Research Corporation – Embrapa. The Embrapa Cotton institution is in Paraíba. Francisca believes that this issue can make other entrepreneurs aware of new practices. “We need to dig deeper into this issue so that entrepreneurs can identify and recognize whether they really care about the cause. In fashion, with more capital, we know that anything can happen. Saint´Laurent wanted to democratize fashion with products for the less fortunate classes …. and so planted the seed of fast fashion. So we can never care too much”, she warns. A 7 a. edition of the Sustainability and Governance Forum will last two days. Among the lectures will be themes such as the United Nations Millennium Development Goals, public water management, climate change and new economic paradigms, management of corporate image communication, among others. August 21 from 8 a.m. to 8 p.m.
August 22 from 8 a.m. to 6:15 p.m.